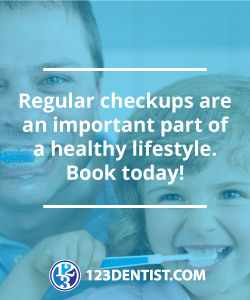 First, if you are missing a tooth and you want to know if it is still possible for you to have a complete set of teeth, then getting in touch with your cosmetic dentist is your most ideal option. Second, if you feel uncomfortable with your dentures, they might just have enough knowledge to help you deal with your false teeth. In fact, you no longer have to deal with the discomfort that awkward-looking dentures usually give. Now, you can get your dentures fixed or replaced and finally smile with confidence again. Third, you always have the option of seeking dental implants instead. Aside from dental implants looking more natural than any dentures, they can be more comfortable too and incredibly durable and natural-looking. Though you may not be a candidate for dental implants, depending on your jawbone strength and amount of gums, it’s worth investigating whether dental implants would be a good option for you. Please note, we don’t do implants in our office. Ask us for referrals! All that a cosmetic dentist does is improve your life; it’s not just about having brilliant white teeth, it’s about having the confidence to go through life with a smile and a warm demeanor. See if the cosmetic dentists at Greenline Dental Centre can help you by setting up a consultation today.